Greetings to all of our friends and supporters of Due Unto Others. We thank you so much for your support in so many ways over the past year. We were blessed to have the donation pledged for James' prosthetic leg. I am excited to see if his smile can get even BIGGER! Here are some updates from this week regarding some of our favorite "starfish" in Uganda. Kenneth had heart surgery on Monday of last week. He was released from the ICU late last week and was allowed to go home to Rushere today. What an amazing healing that has taken place in him and he is now a witness of God's love to his entire village. Thank you to all of you who helped pay for his care. Please continue to pray for Kenneth and the big plans that our God has in store for him. After some delays and postponements, Joseph had his heart surgery yesterday. According to the report, all went well and he is recovering in the ICU. Please continue to pray for his healing and for his story of God's love when he returns to Soroti. Lydia is returning to Mulago for a check up on Friday, and if she is stable, she will be admitted and have surgery on Saturday. Lydia is one of the sickest "Cardiac kids". Doctors have been trying to get her stabilized on medications so that she can undergo her heart surgery. Please pray for a healthy check up and a successful operation for her. We were asked to write a short article about our trip to Uganda for the Africa Renewal Ministries newsletter. If you have been following our blog, this article will seem a little superficial, but if you have not, it will give you a bit of an overview of our time in Uganda. Take the time to Friend Africa Renewal Ministries and Renewal Healthcare Network on Facebook. They give updates about projects that are in progress. What a blessing it was for our family to be able to serve our God in Uganda from February 2nd through June 14th of this year. We thank God regularly for introducing us to Africa Renewal Ministries and the Renewal Healthcare Network. This article is a little about our family, the Gregston family: Jay, Jill, Jake (16), Jared (12) and Jayne (11). When our family left DFW airport on February 2nd, we had many emotions running through our heads. One of those emotions was shear relief! We had been on an interesting journey over the prior few months. We thought that we had sold our business and with the transferred responsibility and added proceeds, we would be able to go to Uganda, paying our own travel and living expenses. This sale fell through, 6 weeks before our scheduled departure. God not only worked this situation out, by putting people in place to cover our needs in our absence, He allowed our home to sell as well. Selling our house was a blessing. It allowed our expenses to be decreased while we were in Uganda. The only problem was that our house sold 10 days before we were leaving. So a mad pack and move marathon ensued, ending at 4:00am, the morning that we left for the airport at 6:30am. We were exhausted and the 24 hours of flight time seemed like a time to rest a little. Despite knowing that we did not need to be, we were a little fearful. 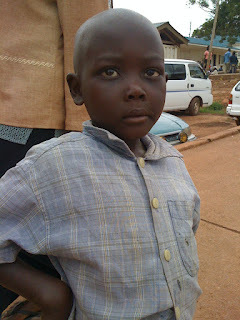 We had been in Uganda for 2 weeks in July of 2011. We knew that God had called us back for a longer period of time, but we really did not know what to expect. I felt that God had called us to take needed healthcare to rural Uganda, and I knew that we felt like our family was to serve Him, together, out in these rural areas. We did not want to have our kids in a boarding school while Jill and I were out running these clinics. Africa Renewal Ministries and Dr. Martin had plans to take healthcare to rural areas too. They just had not done it to the level that we were thinking, leaving us both a little naïve as to what we were getting in to. Every person in our family was excited about the adventure that lay ahead of us. We probably all pictured it in different ways, but everyone was “all in”. Each of us gave up something important to go and do what we felt God was calling us to. I think that because of this willingness to give things up and go, God blessed each of us in unique ways. One of our blessings was meeting a family, from California, that was in Uganda for the same time period as us. The Gash family has children about the same age as ours and we were able to give each other a built-in support group. Their family helped us with many of our medical clinics, helping to keep some of our costs down. Our first couple of weeks, in Uganda, proved to be frustrating, at times. We were searching for a van that would be used to load up our team and supplies and take us to the rural areas of Uganda. Because we had no vehicle, we were dependent on others for transportation and found ourselves waiting to be picked up quite often. We did an internship, of sorts, at Wentz Medical Center during the first two weeks. I learned more about the local medical care, health system, and potential referral options. Jill and the kids learned about pharmacy medications, lab tests and checking inventory. In addition to these things, we were adjusting to a new culture and trying to make sure that we had our apartment set up for our stay. I had anticipated that our routine would be loading the van and going on day trips to villages, putting on clinics and then driving home to our apartment in the Kampala area. As the schedule was unfurled, we realized that there would be many trips where the distance was too far for day trips. Places that we would be staying in hotels or guest houses for up to 9 days at a time. This may have been where most of the “adventure” was for some of us! As we settled in to our routine, we would usually go on a road trip one week, then work in areas close to Kampala the next week. This allowed us to reach all of the ARM projects, in Uganda, and also to have time to “regroup” between the trips. As we started running the clinics in rural Uganda, we were overwhelmed with the actual need, severity of illness, and the lengths that people would go to come see us in these clinics. We had people traveling 8-10 miles, carrying sick children on foot to see the mzungu doctor. In Kachungwa, the site of our first road trip, we had a young girl die soon after we got her to the hospital. When we went to the hospital to check on her, we were appalled at the facilities, or lack thereof. This scenario of overwhelming need, lack of resources, and seeing death up close was very taxing on our family. God showed us through this that we really needed to focus on one person at a time and making a difference for them. Through our time in Uganda, our mantra began to be “That One Person” (TOP). Each day, we would pray that God would show us “That One Person” that needed an extra dose of God’s love that day. Sometimes TOP would be a child that needed a complicated surgery that they could not afford. Some days TOP would be an 11 year old boy, with HIV, that needed to defeat me in a soccer match and in doing so win a new soccer ball for himself. Other days, TOP would be a young girl that our daughter singled out to give a handmade doll that she and her grandmothers had made. Jill and I would whole heartedly recommend the “family” concept to missions. 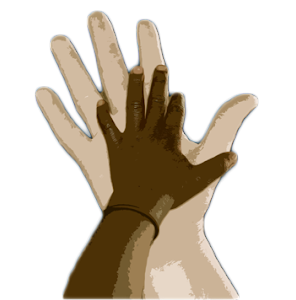 Our family grew in many ways but primarily in our individual and collective walks with Christ. We saw miraculous healings that served to deepen our faith. We saw the Holy Spirit at work in ways that we had not seen in the USA. Our team did morning devotionals, rotating the leading of the study time. Our kids, ages 11, 12, and 16 lead these as well. We “homeschooled” our kids while we were gone. Opportunities were taken to discuss many subjects as we went on our missions. Science through medicine and nature. Math through pharmacy calculations and conversions of many things from temperature, to money, to units of measure. Geo-political topics were plentiful. All of our minds were challenged daily as we tried to learn some parts of a new language. Our “homeschool” plan was not one for long term, but we feel that our kids gained so much in their world view and their perspective of Christianity, that we would not hesitate to do that again. Our kids were able to work as pharmacists, laboratory technicians and as nurses during our time in the rural medical clinics. They all feel that they want to pursue a career, of some type, in medicine and that they will use that training to be a part of foreign missions in some way. We are so blessed that we teamed up with Africa Renewal Ministries and the Renewal Healthcare Network to execute our missions in Uganda. Our road team of David, Faith and Joseph helped us navigate through many potential pitfalls as we went about our medical missions. Dr. Martin choreographed many things from Wentz Medical Center in Gaba. Many others at Wentz and at Gaba Community Church helped to make our time in Uganda productive, safe and life changing. They were very accommodating to our family, in many ways. For those of you sponsoring children through ARM or for those of you supporting the Renewal Health Network, you are supporting a worthwhile cause! We have seen these projects first hand and YOU ARE MAKING A DIFFERENCE! Our team saw more than 10,000 patients over our time in Uganda. Since the first of January, every sponsored child has received a medical exam, any needed medication, and some extra evaluation and treatment where indicated. The RHCN continues to see and care for Ugandans, even though we are back in the US. I know that there is a continued need for funding as we are still caring for some children requiring specialized cardiac procedures and receiving chemotherapy treatments. I am sure that the RHCN could use your talents as a medical team or individual if you are interested in volunteering your time, at some point. Our family has forever been changed and blessed from our time with Africa Renewal in Uganda. I am grateful that we were able to blog about our adventures to chronicle our time there. You can check out our blog a www.dueunto.blogspot.com. We cannot wait until we are able to return to see our friends and care for the wonderful people of Uganda. Our family encourages you to find “TOP” (that one person) for Jesus today! It is hard to believe that we have been back from Uganda for over 2 months now. I’ll have you know that my Granny has scolded me for not blogging since July the 7th. She says that she gets up every morning to check for new blogs and then listens to a David Jeremiah sermon. We have been getting positive reports back from Uganda, several times per week. This week, 2 of our “Cardiac Kids” (Kenneth and Joseph) are having their surgeries to repair heart defects. Kenneth did well with his procedure on Monday. He was in the operating room from 9am-5pm. He is in the ICU and if all goes well, he will be out to the ward on Thursday or Friday. Joseph is scheduled for his surgery today (Wednesday). Please keep them and their families in your prayers. Many of you have contributed to their care, and their families have said over and over how grateful they are. Jamil has started school and is doing well in Palisa. I can’t wait to see new photos of his eye and how it is healing. Tendo has regained her swagger and is dancing and doing well in school, after her big surgery to repair her ruptured diaphragm. Joseph (younger boy with facial tumor from Mytiana) is about to return to Mulago for his 6th and final round of chemo. He will have a “re-evaluation” after this last round of chemo, to see what his prognosis is. I know that he has had a better response to the chemo than the odds would predict. James is continuing to improve and is almost ready to be fitted for his prosthetic leg. He continues to amaze me with his beautiful smile and upbeat attitude. (We are still needing about $450 for his prosthetic if God lays this on your heart). Shakib is continuing burn treatments and has been sent for consultations on his vision, to make sure that he had no eye damage in the fire. He checked out OK on this front. He has been sent to start the series of surgeries to release the contractures in his left hand and left knee. We received this picture this week. It is the first time that we have seen him smile. If the picture had sound, I am sure that we could hear him laughing! Look for an upcoming blog about a young girl named Sabina, from a small town north of Jinja as well. I have to be honest with you, Jill and I have had a hard time feeling “Comfortable” since we have gotten home from Uganda. I have blamed that on different things at different times. There was the fact that we left more suddenly than we had planned and left several loose ends in Uganda. We are thankful that our friends and “medical teammates” have been able to take care of most of them for us. We also have been settling in to a new address, and trying to figure out what to do with a lot of the “stuff” that we still have, despite doing a major cleaning out prior to leaving in February. This process has had some highs and lows, but definitely has been trying and exhausting. Thank you to our friends and family that have helped us with this at different times. I think much of this discomfort is from a re-acclimation to our culture of excess. Our OU football season tickets arrived recently and it is difficult to think about what we spend on these tickets every year, and how that compares to sending kids to school in Uganda or helping them with a life-saving surgery. It really leaves us pulled in different directions. Jill and I were discussing this feeling of discomfort with our friend Pete about 10 days ago. He said something that really struck a chord with Jill and I. He said that we are not made to feel comfortable here (on earth). We are aliens, strangers in a strange land. Our home is heaven and not on this earth. I have decided that I don’t want to feel comfortable with the American lifestyle again. I have been much too comfortable in the past and that is part of what challenged us to go and leave that comfort for something that was definitely not comfortable and even scary at times. This is a strange prayer, but I am praying it for me and my family right now. I am praying that we never feel comfortable again! EVER! But at the same time, that we get more “accustomed” to feeling uncomfortable! 1 Peter 2:11-12 says "Dear friends, I urge you, as aliens and strangers in the world, to abstain from sinful desires, which war against your soul. 12 Live such good lives among the pagans that, though they accuse you of doing wrong, they may see your good deeds and glorify God on the day he visits us." Step out on a limb this week and get out of your comfort zone. We are aliens and strangers here. Let us relish and celebrate this fact together. Find “That One Person” that God wants you to make a difference for this week!